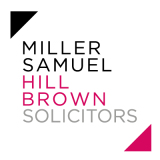 The introduction of the GDPR and the changes it makes to data protection law created a number of new compliance issues for all organisations, including employers. We are hosting a seminar on 21st February 2019 where we will be discussing the most valuable lessons which can be taken from the GDPR so far, and some practical tips and guidance on potential problem areas. • What should you do if you have a data breach? • What are the consequences of a rogue employee leaking or stealing data? • What should you do if you receive a subject access request? The seminar will be held in our offices on Renfield Street, Glasgow from 4.00pm for a 4.30pm start. The seminar will run to 5.30pm, followed by refreshments and a buffet with a chance to network.